With the rise of labour cost, consciousness of time for completing a building project and the complexity of new construction techniques, it has become necessary to use some mechanical means to boost material handling operations. Use of sophisticated cranes could be an answer but in view of the fact that the residential and other buildings are constructed with traditional techniques at many of the construction sites. Therefore a light duty range (50 to 500 kg) material handling device has been sought for quite some time by in the developing countries. Mini climbing crane is such a device and is accepted readily by the contractors / builders. 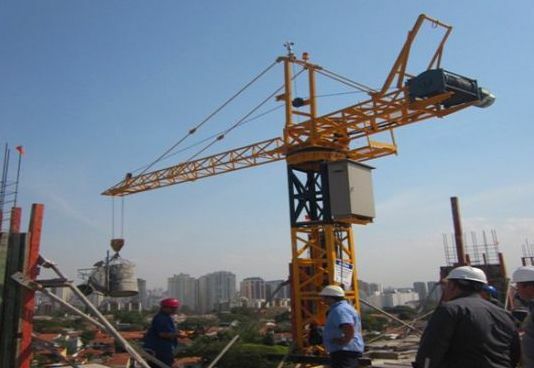 The Corporation has taken steps in commercialising and popularising the fabrication of Mini Climbing Crane as a result a large number of construction companies are using this crane as a very useful tool.